SERVICING DOMESTIC & INTERNATIONAL BUSINESSES WITH DIVERSIFIED INTERESTS WITH EXCELLENCE. SERVICING DOMESTIC & INTERNATIONAL BUSINESSES WITH DIVERSIFIED INTERESTS WITH EXCELLENCE. SERVICING DOMESTIC & INTERNATIONAL BUSINESSES WITH DIVERSIFIED INTERESTS WITH EXCELLENCE.  "The Team UPPERCUT are a pleasure to work with. They really have their fingers on the pulse when it comes to new initiatives in the world of Publishing. Through their work we feel we have been very early adapters of every design trends and as a result have stayed ahead of our competition and seen valued returns." UPPERCUT Team worked meticulously with us to get a passionate understanding of our values and were able to translate it in a way that helped us to reach and connect with the target audience. All the best to Team UPPERCUT.